Whitecourt Baptist is proud to partner with RightNow Media to provide our congregation with access to thousands of videos to help you, your family or your small group grow deeper in your understanding of God's Word and how it changes everything! With video content from great Christian authors like Tim Keller, Bill Hybels, Dave Ramsay and Francis Chan, and incredible kid friendly content like "Adventure's In Odyssey" and "What's In The Bible" it's our hope that RightNow Media will be a blessing and encouragement to you. From marriage, to finances, to parenting, to discipleship, to Bible study...well, you get the point...RightNow Media has thousands of options to choose from. Find out more with the promo video!! 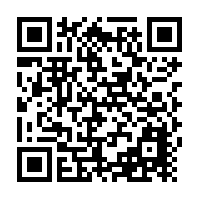 HOW TO REGISTER In order to use RightNow Media you need to register through the church office or use this QR Code . Use the form on this page or contact the church directly. Once registration request is received we will respond and you will receive an email confirmation once you are registered. HOW TO USE RIGHTNOW MEDIA Once you receive your registration information from RightNow Media you are ready to get started. RightNow can be viewed on your desktop or laptop, Smartphone, Tablet, SmartTV and Apple TV. Basically anywhere you can access Netflix, you can access RightNow Media. Use the contact form in the "More" link if you would like to contact us now!